Relate4ever Publishing – How to live the best life? How do you feel secure? You can download all these recordings from HERE. Find more on amazon or itunes or douglasjacoby.com podcast. You can donate + subscribe google feed + youtube streams. 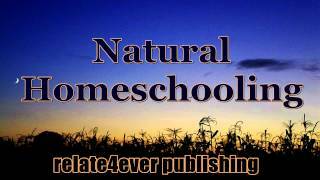 – Inspirational audiobook on restoring home education aka homeschooling movement from Relate4ever Publishing. What are you living for? What is your purpose in life? What do you do and where do you sick help and why? While sick are you putting your trust and your life in the hands of professionals for the healing process or are you going in front of God for help and for guidelines? When we go to our Almighty Holy God, The Creator and we seek help, He is guiding us to natural ways to restore our health and sanity. One way to heal is by juicing. Here is Elena McKean testimony of recovering with juicing! Thank you for following and please subscribe Relate4ever. Download resources from Itunes Amazon Cdbaby Music. Donate here to support advancement of the kingdom of God. Dear reader, please pray for Roma that he will stay strong and bold in his faith and that he will be freed from prison in Malaysia. While transiting Malaysia, Roma was put to prison after somebody planted illegal substance in his luggage without his knowledge. Roma was caught with possession of drug and put in prison. In march 2019 he was sentenced to death. Dear judges, how can we avoid wrongful execution in the case of Roma? We trust Roma because he is serving The Holy God as disciple of The Anointed One and so his standard of living is of self denial and calling people who are in the drug industry to repent and give there lives to God and serve God instead of money, power or pleasure. At the end of times we will all bow down in front of this Great God, The Highest Judge Eternal and so each of us will be judged by Him! Dear Roma, we are praying for you. Dear friends who want to help Roma be freed from jail, please team up and investigate this case together. You are at great help if you know Roma and you are able to make an affidavit. You can also write a letter to encourage him. Maybe you want to make awareness about Roma by recording a prayer for him, writing about his situation or doing something for Roma, according to your talent. Dear Father from heaven, we praise You as the Almighty Judge and pray that your will be done as in heaven on earth. We ask You to empower Roma to preach the good news of eternal life to those around him in prison and in court. We ask You so the judges will release Roma from prison. We ask all these in The Anointed One who has all the power in Heaven and on Earth. 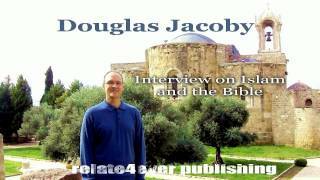 Listen Dr. Douglas Jacoby on Capital Punishment HERE. Please share this post and leave your comment in the comment section. Project Google Loon LLC is an Alphabet Inc. subsidiary working on providing Internet to rural areas. The company uses high-altitude balloons placed in the stratosphere at an altitude of about 20 km (13 mi) to create an aerial wireless network with up to 5G speeds. Find how to protect from EMF radiation as contemporary air pollution. You can see videos or live tracking on flightradar24.com – Español aqui. The balloons are maneuvered by adjusting their altitude in the stratosphere to float to a wind layer after identifying the wind layer with the speed and direction using wind data from the National Oceanic and Atmospheric Administration (NOAA). The service needs a special internet antenna attached to the building. The signal travels from balloon to balloon, then to a ground-based station connected to an Internet service provider (ISP), then onto the global Internet. The balloons are 15m in diameter when fully inflated. The team monitors the balloons’ positions during flight. During operation, the balloons are well above the path of commercial air traffic. Thank you for following! Please subscribe Relate4ever here.